Julie on Eagle Crags, originally uploaded by The Bacher Family. 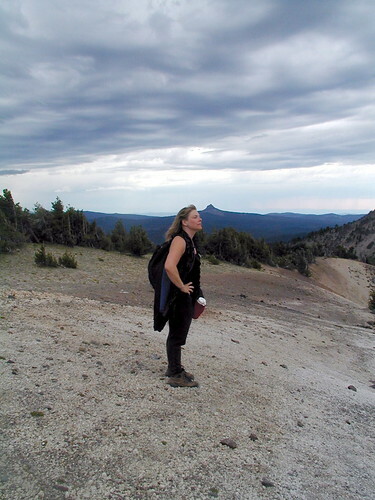 During the summer, a friend visited me at Crater Lake, where I was working as an interpretive park ranger, and I agreed to take her to some of the "hidden gems" of the park--places off the established trails, but with extraordinary vews of the lake. 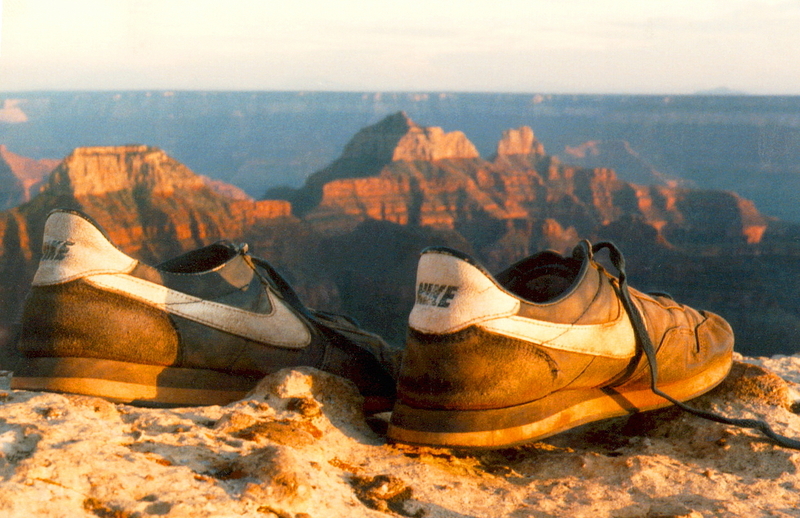 This picture was taken at Eagle Crags, about a two mile cross-country hike east of Rim Village and Garfield Peak, looking down on the "Phantom Ship." Later, we made a similar hike to the top of Dutton Peak, a little further counter-clockwise around the lake and directly above Phantom Ship. By that time, some afternoon rain clouds had begin to move in, making our photos a bit darker and more brooding. 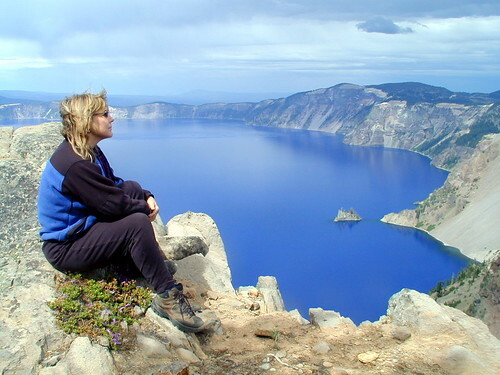 These are both great places to visit, if you ever go to Crater Lake--but leave plenty of time, as they're challenging to get to. P1010471 high res, originally uploaded by The Bacher Family.